We’re excited to announce that Langeroo Adventures will be launching on April 25th on Windows 10, Android, and iOS. Living on the island are a variety of animals, each one with a different challenge for children to complete. The challenges are fun, engaging, educational games, designed to teach and support English as a first or second language; along with maths games, word-based games, and other educational activities. Completing the mini-games are a lot of fun. They use touch, gestures and voice controls; giving your child an engaging experience. 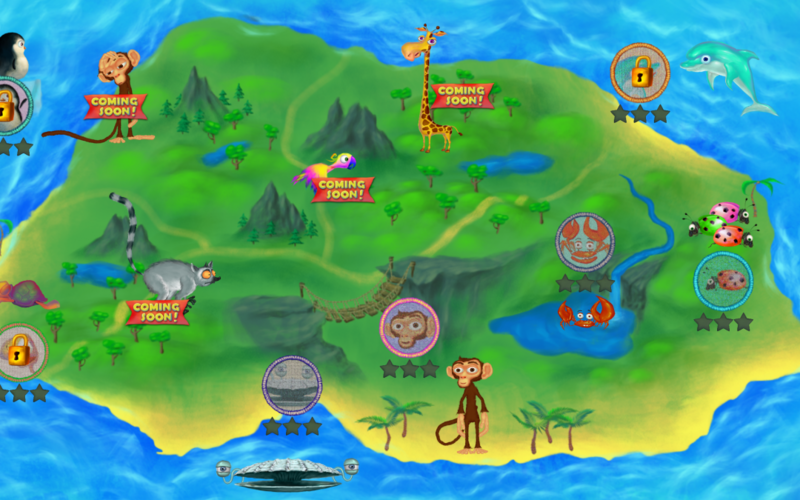 Langeroo Adventures will launch with four games – Tortoise Beach, Monkey Bay, Oyster Ocean and Crab Waterfall. Crab Waterfall is a spelling game. Children take control of the grab in order to catch letters in the correct order to spell out words. Monkey Bay teaches face and body words. Children get to place stickers on the monkey to learn these words. In Oyster Ocean, the child helps the oysters to learn the alphabet by popping their bubbles. 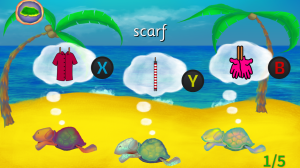 Tortoise Beach is a word matching game which children play by waking up the correct sleeping tortoise. The child will match sounds and written words to the picture the tortoises are dreaming of. More games will launch over the coming months. You can find details of all the games here. Langeroo Adventures will be free, with some premium games available as in-app purchases. Langeroo Adventures will be available to download on April 25th from the Windows Store (on Windows 10 PCs and mobile phones), the Google Play Store (on Android devices) and the App Store on iOS. It will be launching on Kindle Fire and Xbox One in the coming months too.